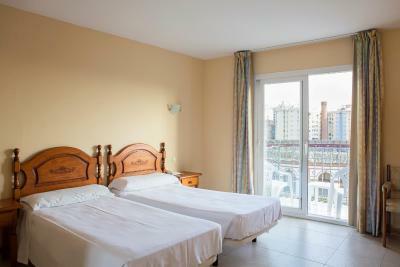 Great location, friendly staff, spotless room. Great price. 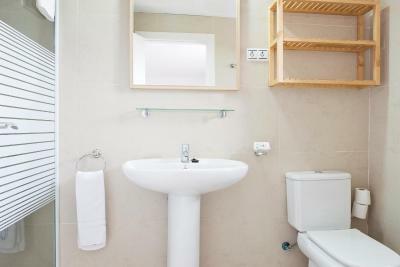 The location is perfect, very central, walking distance to pretty much everything. The staff was attentive and helpful, and though the bed was a little off, it was generally a very comfortable experience. 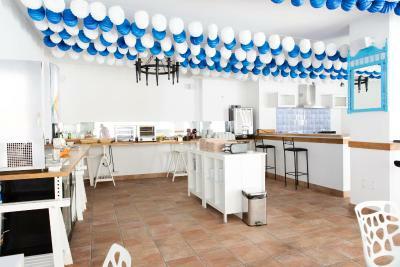 Perfect location close to the beaches and the sightseeings as well. Clean rooms. The hotel even provides its clients with beach towels if you don't bring your own(only with deposit - which you get back after returning them). Very polite staff. Nice staff, great location. Good price for summer. Towels lended. Nice rooftop with pool. 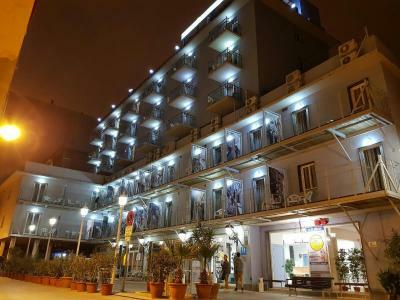 Pleasant staff, good value breakfast buffet, directly on buslines to most of city, location good, but hotel is behind other buildings and views from balconies are not great. bright and cheerful inside. 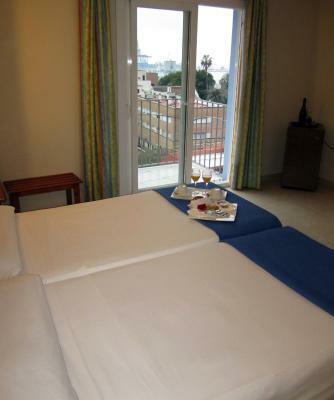 Really good price, room was very clean, and the cleaness was kept up during my 4 night stay. Staffs very friendly and helpful. 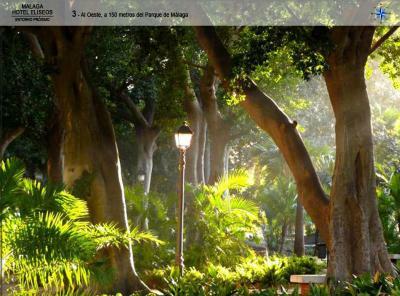 Location is fantastic, not far from the beach nor the main attractions of the city. Free WiFi. Breakfast is only €5. 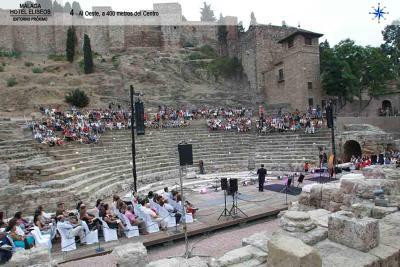 Great location, easy walking distance of centre of Malaga, without being too busy. Close to the beach/seafront. Shops, supermarkets, restaurants and chemists close by. Friendly, helpful staff. 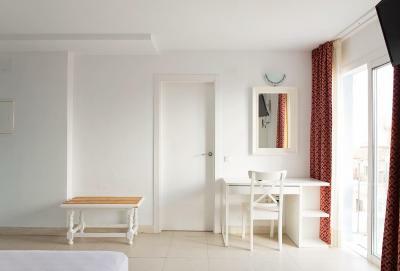 Hotel Eliseos This rating is a reflection of how the property compares to the industry standard when it comes to price, facilities and services available. It's based on a self-evaluation by the property. Use this rating to help choose your stay! 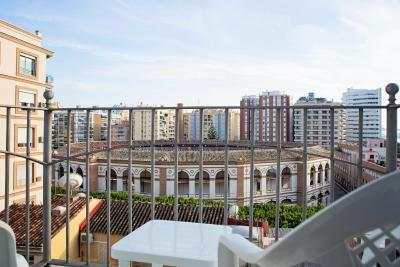 One of our top picks in Málaga.Offering superb views of the bullring directly opposite, Hotel Eliseos offers free Wi-Fi, rooftop terrace with a small seasonal pool and on-site parking suitable for vans and caravans. 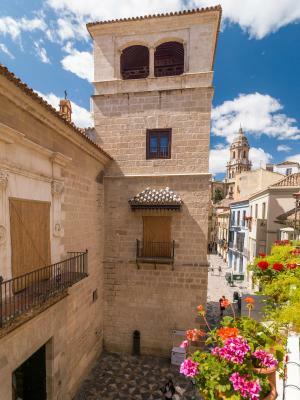 This hotel offers air-conditioned rooms, some with a balcony. Kettles and hairdryers are available upon request. 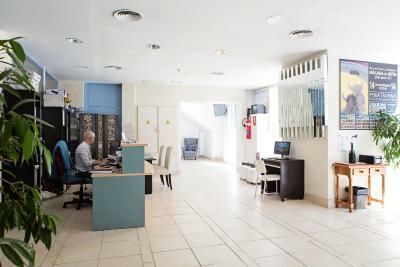 Throughout your stay, make use of Hotel Eliseos' 24-hour reception. Here you can get useful tips, such as local restaurant recommendations. 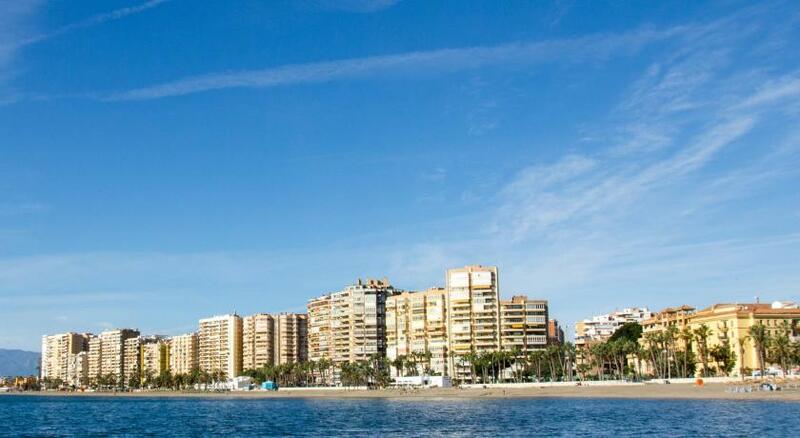 The Picasso Museum is just 2,650 feet away, and Playa de la Malagueta Beach is 1,150 feet away. 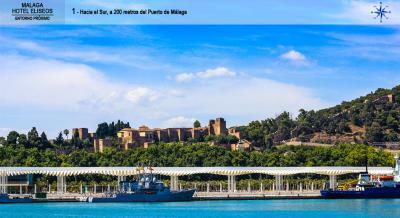 Malaga Airport can be reached in 22 minutes by car. 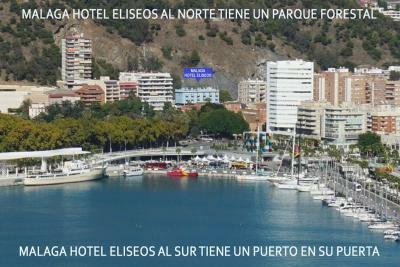 When would you like to stay at Hotel Eliseos? 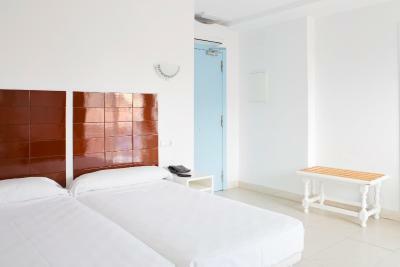 Air-conditioned rooms with TV, safe and mini-bar. 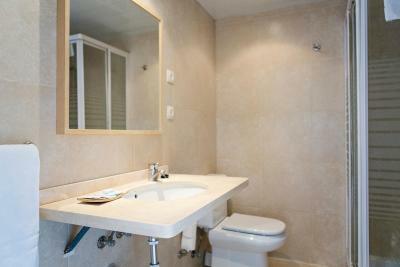 The private bathroom comes with toiletries. 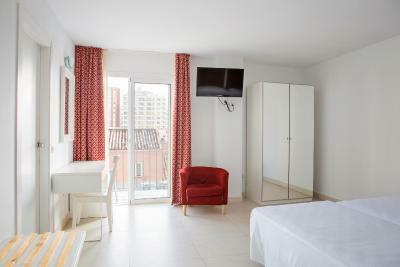 Air-conditioned studios with TV, safe and mini-bar. The private bathroom comes with toiletries. 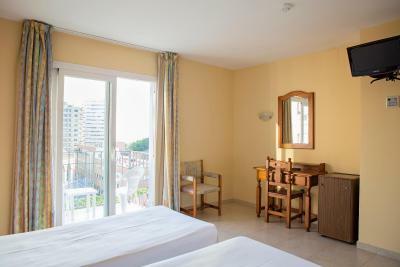 Air-conditioned rooms with TV, safe and mini-bar. The private bathroom comes with toiletries. This room has a balcony. 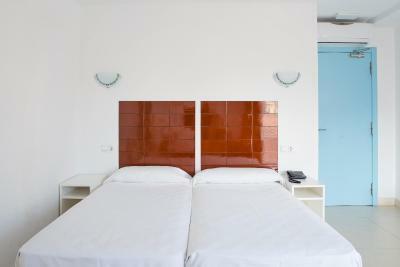 Air-conditioned rooms with TV, safe and mini-bar. The private bathroom comes with toiletries. This room has a balcony with sea views. 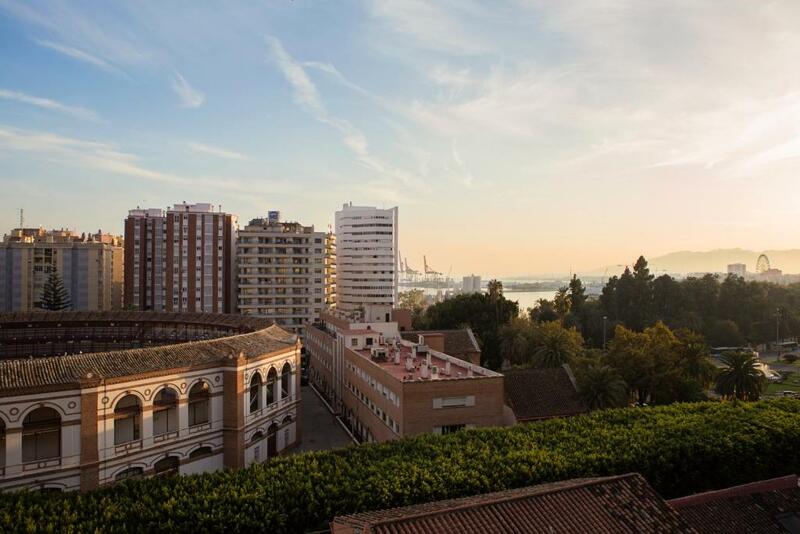 Located in the heart of Málaga, the budget-friendly Malaga Hotel Eliseos is just across the city’s famous bullring. 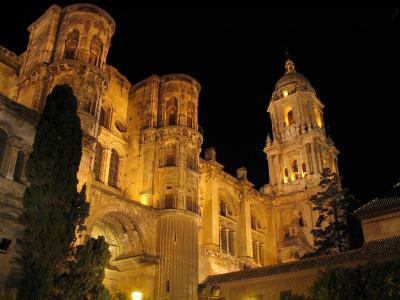 This three-star hotel is within a 15-minute walk to the Malaga Amphitheatre and Malaga Cathedral. 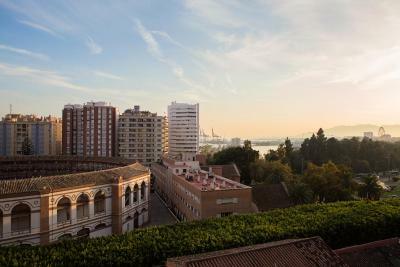 All 44 rooms are elegant, and each includes a balcony with views of the city. 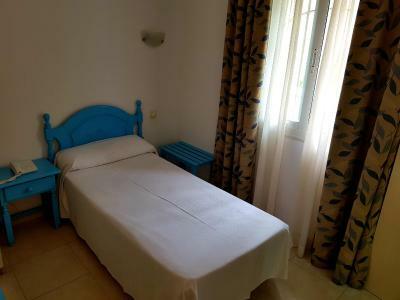 Moreover, each room is equipped with a flat-screen TV with premium channels, air conditioning, minibar, and a private bathroom with a hairdryer. Complimentary Wi-Fi access is available in all rooms and the public areas of the hotel. Private parking is also offered. Moreover, guests may avail of currency exchange services and dry cleaning services from the 24-hour reception. Breakfast is served for an extra charge in a small café just a few steps from the hotel. There are also other bars and restaurants within walking distance. 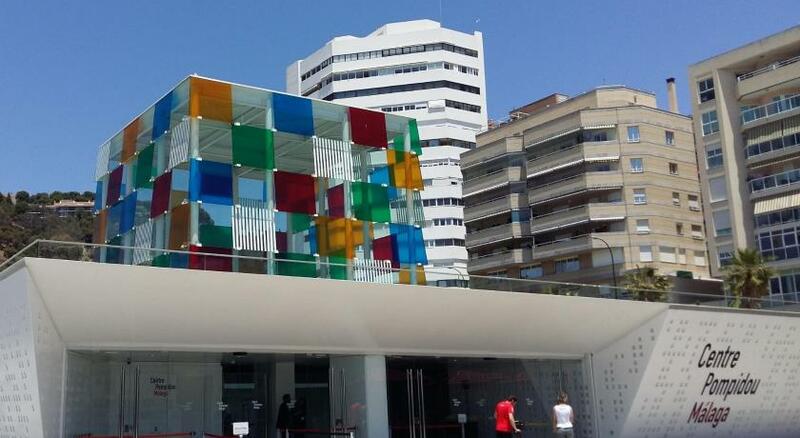 Malaga Hotel Eliseos is just 800 metres from the Picasso Museum. 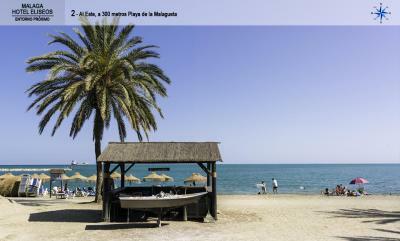 Malagueta Beach can be reached through a five-minute walk. House Rules Hotel Eliseos takes special requests – add in the next step! Hotel Eliseos accepts these cards and reserves the right to temporarily hold an amount prior to arrival. 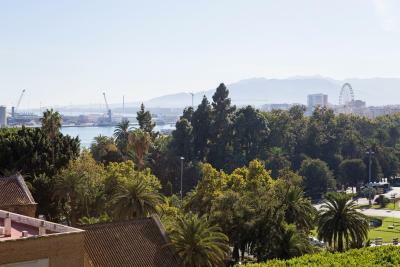 Situated near both beach and city center. Spacious and clean room. Simple, but had everything you need. 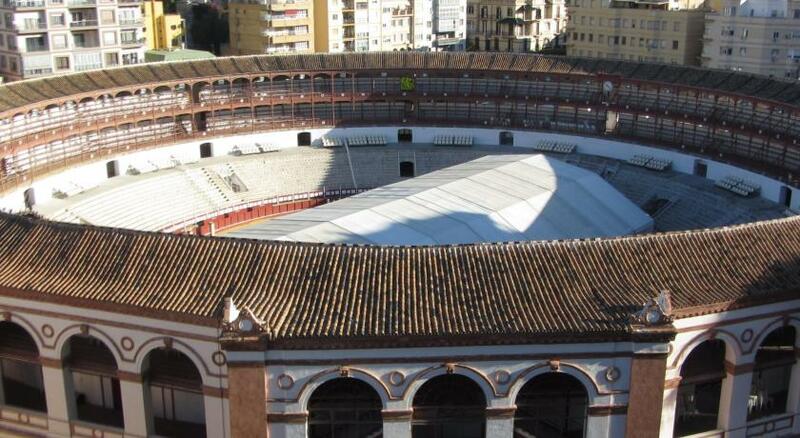 Right in the city, at plaza de Toros. 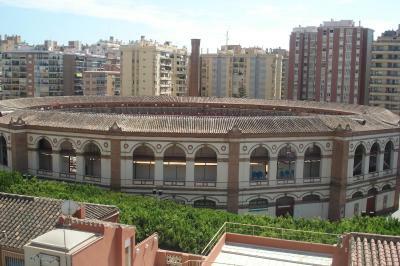 View from the balcony over plaza de Toros. 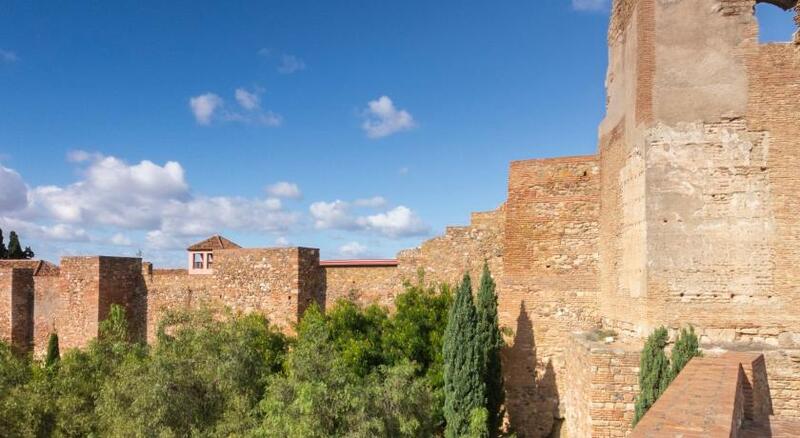 Close to the beach, alcazaba, la manquita etc. Near bars, restaurants and Supersol. Nice staff, always smiling and willing to help. Great roofterace with great views. The whole feel was of a cheap hotel. The beds were rickety, the mattresses cheap bad quality and the blankets looked army style. The mini fridge was rusted inside as was the soap dish in the shower. The shower door was cheap quality too. Far from a 3 star hotel in my opinion and too expensive for what they offer. The staff. Very pleasant and helpful. Breakfast was fine too. Location is good. 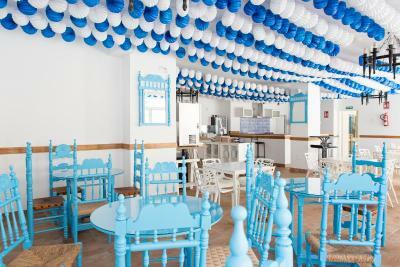 Breakfast was really good and location is perfect, near the beach and the center of the city. 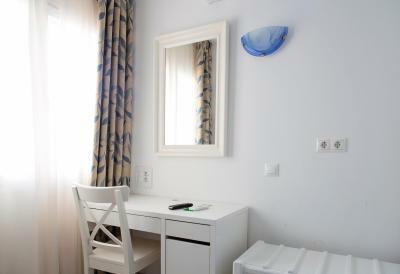 This hotel is spotlessly clean and in an excellent location. 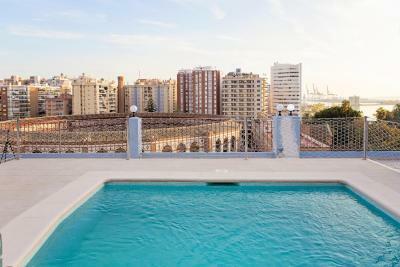 The roof top terrace and little pool was a real bonus. Simple, friendly and a real find! access to the hotel down a little side road, our room lacked any sort of view, but this was not really a problem as we were rarely in it. 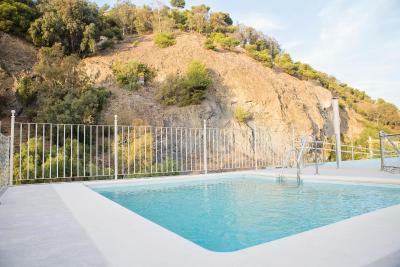 Located approximately 10-15 min walk from nearby historic Malaga and marina / port. a great place to stay for those who like a little easy walking. View from balcony window looking directly at flats opposite. 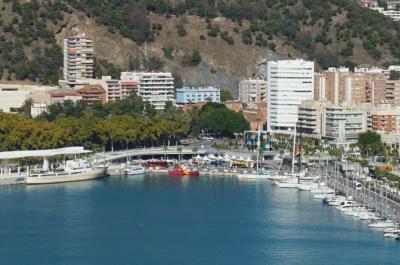 Great location for malaga city centre and close to malaga port with lots of eateries. Hotel and surrounding area very clean. Staff friendly. Lots of choice for breakfast. Me and my sister both felt that the room looked like a hospital, not cozy at all, was cold and dark but it was the cheapest option so I guess the ones with balconies should be much nicer.